COURSE DESCRIPTION: 18 hour course covering management of multiple teams, multiple search areas, coordinating agencies, assignments, correlation of information and tracking searched areas, LAST, Rescue – Evacuation – Recovery, Pre plan, size up, PLS / POD, Passive and Active search, Interview, Quick Searches, Boundry / perimeter establishment, Detail search, Interviewing witness or victims. COURSE FORMAT: The GSAR 2 course is normally taught in a two day / 1 night training sessions. Day 1 Night training begins a dusk and usually takes 2 .5 – 3 hours. The person completing this course will have the knowledge and skills to function as a search team leader. STANDARDS: This course meets and exceeds Industry Standards and NFPA 1006 chapter 16, requirements. To completely meet all NFPA requirements the Technician would need to attend the GSAR 1, 2, 3 and Wilderness Survival 1.
trail mix or snacks for field work. PHYSICAL FITNESS REQUIREMENTS: RTI field courses are strenuous in nature. RTI recommends the student be in good physical and mental condition. There are segments of the class that are predominately in the field and require significant walking, possibly in inclement weather. There will be no rest room facilities while on missions. COURSE DESCRIPTION: 18 hour course covering introduction to search, ICS for field teams, safety. 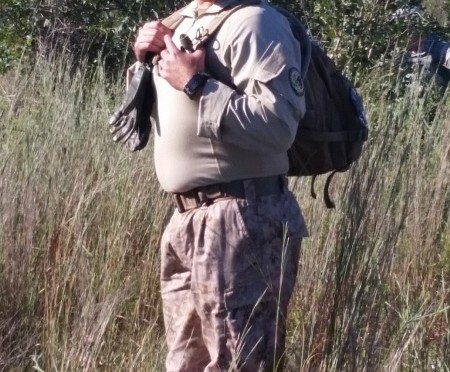 survival packs, K9 disciplines, map and compass, pace count, navigation, active and passive search, tracking, site survey, search techniques, sounding, GPS and includes one night training session. COURSE FORMAT: The GSAR 1 course is normally taught in a two day / 1 night training sessions. Day 1 morning is lecture,. Day 1 afternoon is basic maps, compass, navigation, pace count, and search techniques. Day 1 night training includes navigation and searchs in dark condition. Day 2 is all field work with more techniques and field missions. 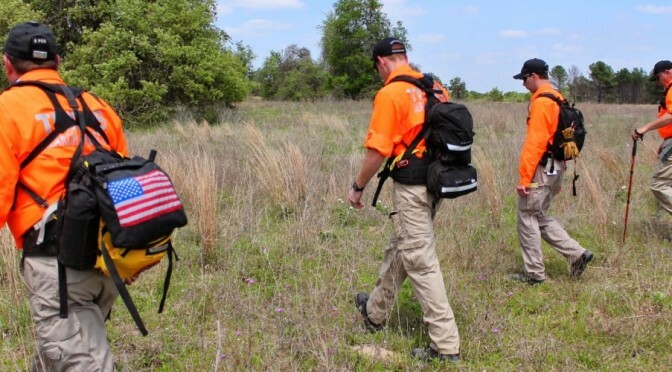 The person completing this course will have the knowledge and skills to function as a search team member.